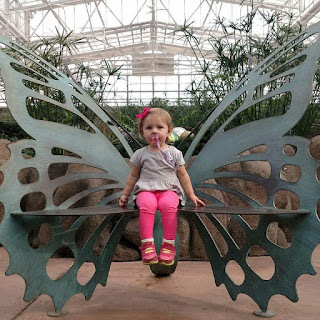 I hope you've enjoyed Robyn's blog post. Her project is just amazing isn't it?! I hope you enjoy mine too.... so here goes! A bullet journal is something I've wanted to start for a long time. I decided to give it a go and use it to motivate myself as winter fades away and spring emerges. I found this one on Amazon for less than $8. A Unity video from a few months back featuring journals is what gave me the initial desire to create one; looked like so much fun! Then I found a fb group called Bujo Addicts. 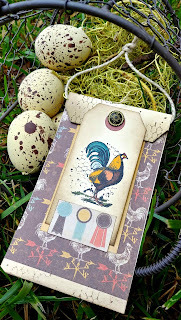 This group gave me lots of layout ideas and the confidence to begin. I had the opportunity to visit Arizona 3 years ago and fell in love with everything about it especially their prickly cactuses. There is something extraordinary about how they survive their climate! Plus they're harder for me to kill as house plants. Ha! 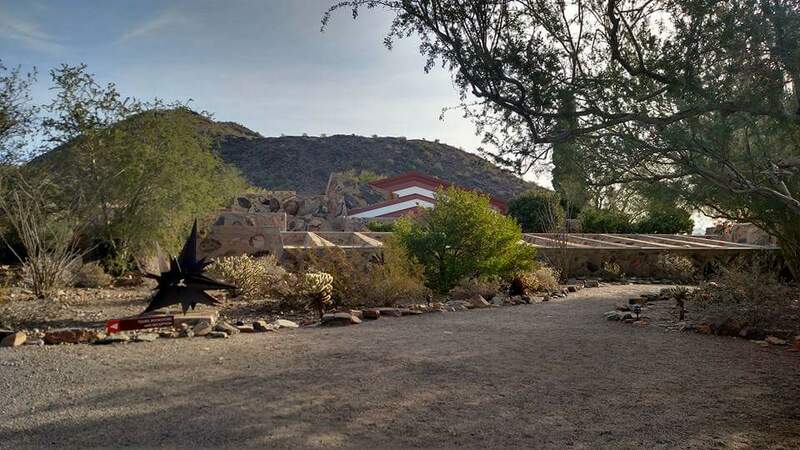 Below- The stunning Frank Lloyd Right home. Side note: They wouldn't let us tour it because we had our daughter with us. Apparently they don't like children. That didn't stop me from enjoying the outside of it though. 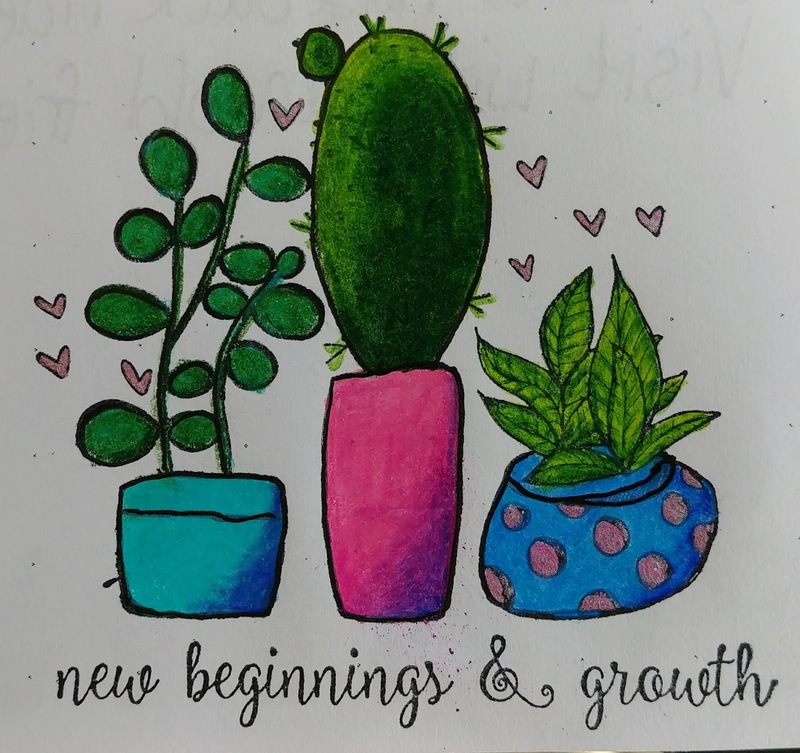 Unity has some amazing cactus and succulent stamps to create a themed bujo so... one was born. 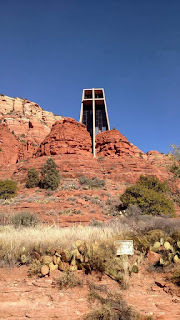 Another Arizona pic for you to enjoy- Chapel of the Holy Cross! Amazing views from this place! The bullet dots really do help you create anything you want and stay lined up! 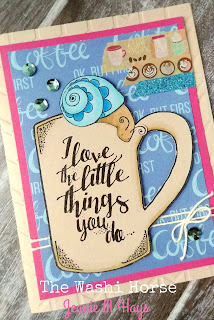 I used Prismas to color in the stamped images. This is because the pages are rather thin and this prevented bleeding. I masked the flower pot and drew a bucket instead...suitable for a bucket list! Ha! 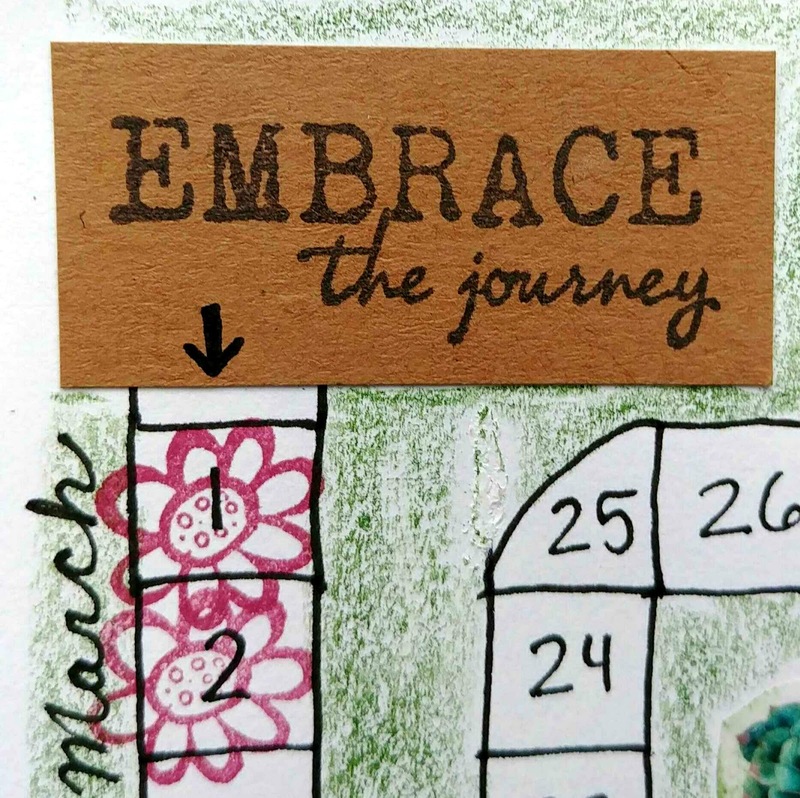 Some cute washi tape underlines the page. 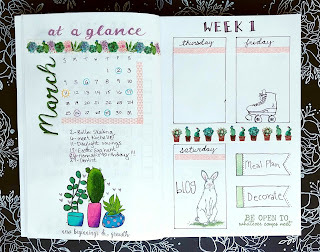 Month at a glance and Week 1. New Beginnings & Growth. Woodland Creature. A little free-hand ink drawing. 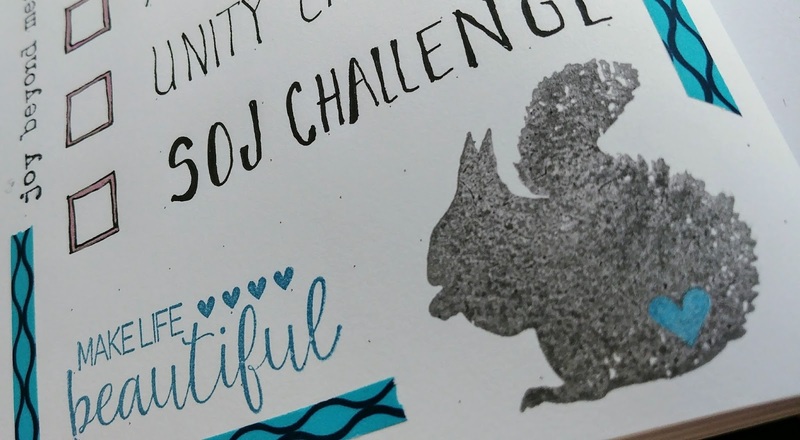 My dream would be to design stamps one day....for Unity of course. Random Unity sentiments from grab bags to encourage me along my Walking Path! A rough ink sketch of my home...where I must venture out from. My path is actually a calendar of sorts. Each day I walk... I stamp the date. The flower used for that is from a grab bag as well. I think this may be my favorite crafting goal. Gosh I love that squirrel! If I've learned anything from this process, it is that what is most important is to just get it down; get your ideas down! Don't expect perfection because this can prevent you from just diving in. 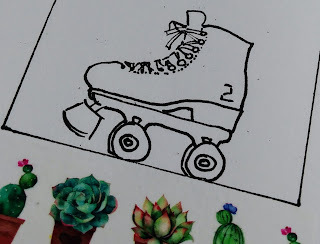 Look at the process as an opportunity to improve your planning skills, lettering skills, layout skills, stamping skills, color coordination skills, washi skills, sketching skills, coloring skills, creative skills and most importantly...life skills. Don't be afraid to mess up. White out, correction tape, more ink or washi can be used as a band-aid....heck...you could prob use a real band-aid! Ha! Or if it is truly a hot mess and you can't bare to bask in that, you can just rip it out. Yep. You can't do that in real life so do it here. 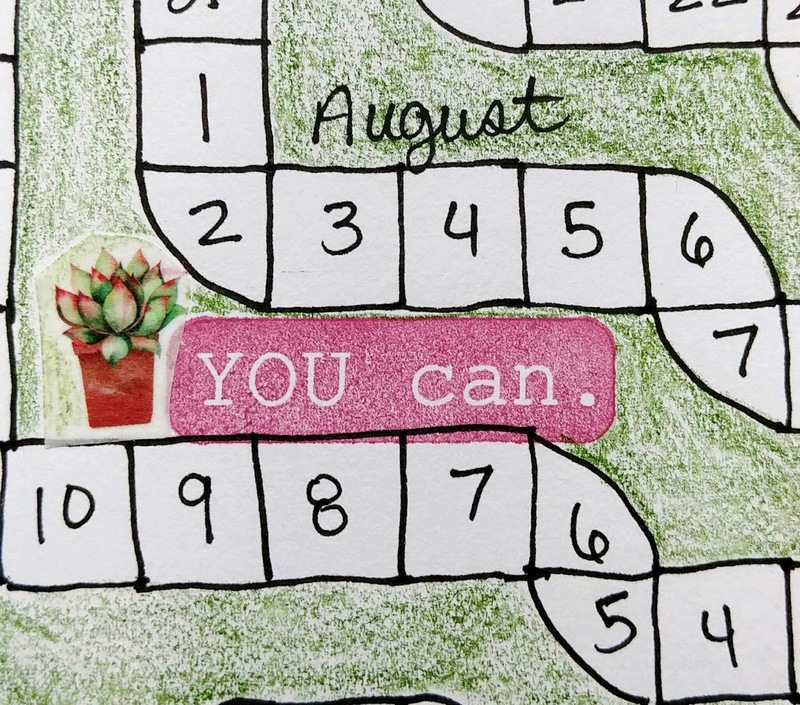 Bullet Journals are absolutely limitless! If you can dream it you can journal it! So there should be nothing holding you back. Because...if I can do this...so can you! If I've inspired you to start one please share! Any questions please just ask. I'll do my best to respond. Crystal is giving away some stamps so be sure to leave a comment on her blog! I am giving away a roll of washi tape. The winner will be announced on next month's blog. Have fun and hop along! Wow, Jeanie! I feel like I was just peeking in on your life... thank you for sharing your bullet journal. I've been intrigued by these for awhile but haven't taken the leap. 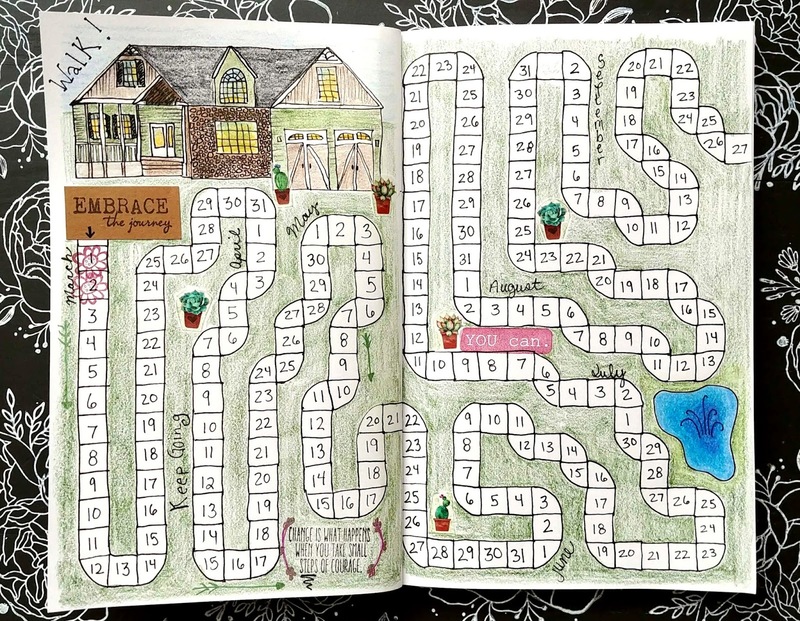 I adore your coloring and layout throughout the journal. You've got me excited about starting one! Thank you! Glad you liked it! I hope you do start one! I simply love your journal. I think you have totally inspired me to start one. Sounds like a lot of fun! So glad I inspired you. Looking forward to seeing what you create! Wow, I'm kind of speechless. Okay, I found some words...this is amazing! I love everything you've done. 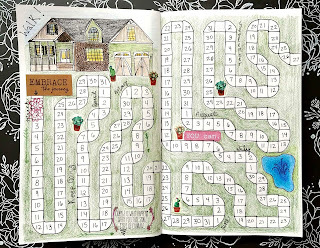 Creative, beautifully executed and fun! 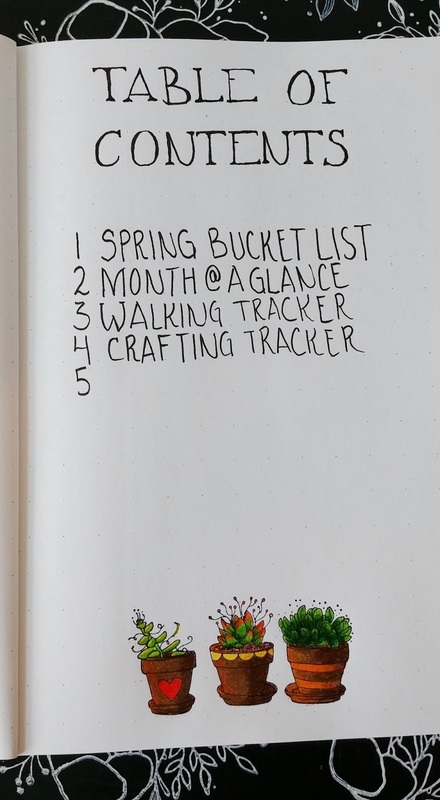 I am just learning about the bullet journaling. I really like what you have done here. 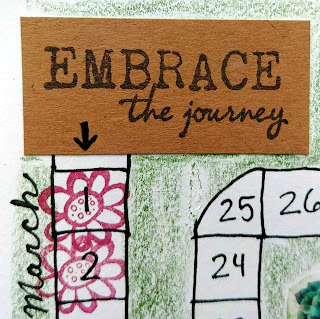 I love your journal pages!!! 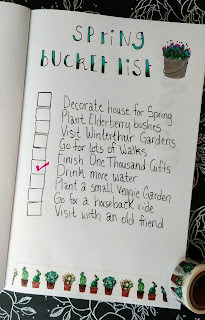 I am just starting my Bullet Journal Journey and this just inspired me to do a few pages in mine!!!! Thank you!!! 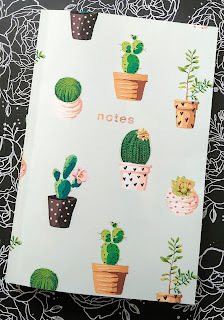 I love your bujo! I have been trying to start one (unfortunately life for in the way) you have inspired me to start one! New beginnings! Your coloring is beautiful! Jeanie, this is amazing! 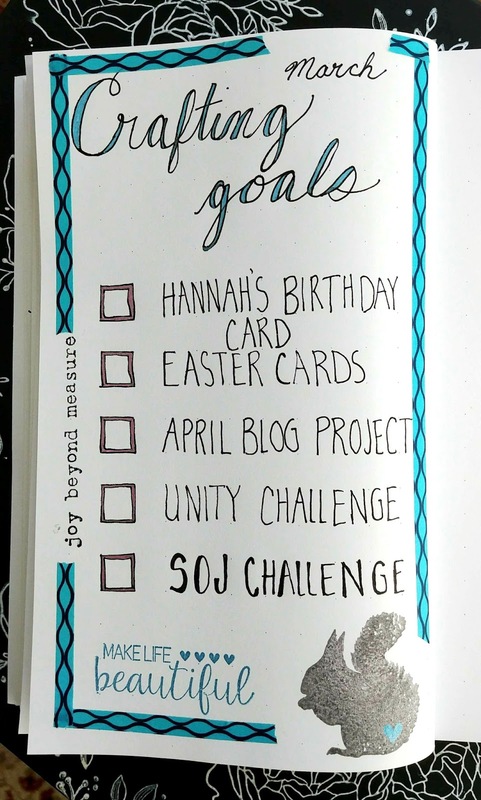 Love your bullet journal! Your coloring is fantastic. I just looooove your buller journal!! it's very inspiring!! 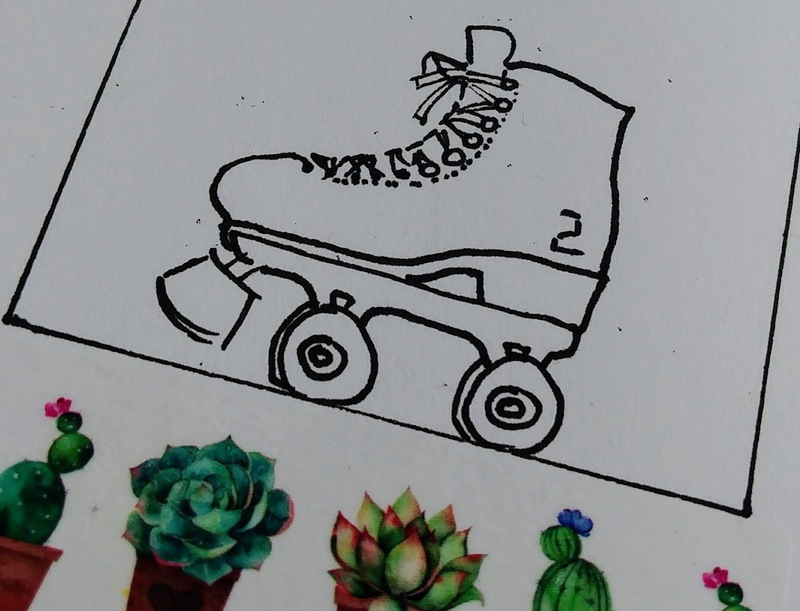 I love your coloring and free hand skate! I cannot draw an even heart.. TFS! 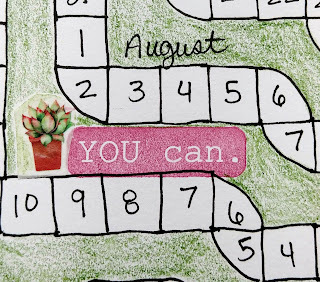 Love your bullet journal. 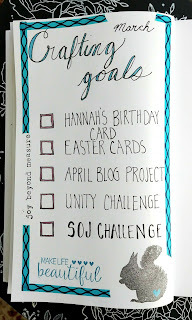 I have never considered journaling but your blog has inspired me.....so maybe it will happen. Thanks for sharing Jeanie! Wow this is the best journal I’ve seen!!!!! I especially love your walking path, think I will do that for my husband and I. I started a journal but only got 2 pages done, this is so inspirational. Thanks for sharing this beauty. I love you coloring! Haven’t tried bullet journaling yet.... you inspire me! WOW!!!! Your bullet journal is amazing!!!! This looks amazing. I don't think a journal is for me, but I do like the walking path and marking your progress is something I would love to try. Jeanie I love your bullet journal, very inspiring. Such a good job!!!! 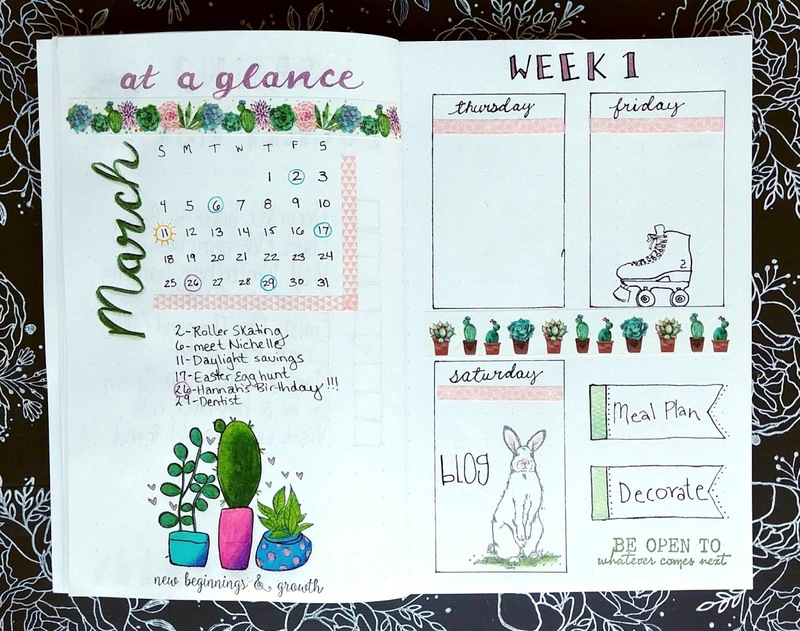 Love your bullet journal ideas! Time to use some of those stamps in my journal! A great project. Love your layouts, coloring, details, tips, and ideas. Thanks for the inspiration. 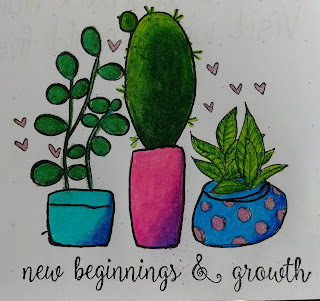 I love your journal pages! I visited Arizona this past September and I fell in love with the cacti, too. 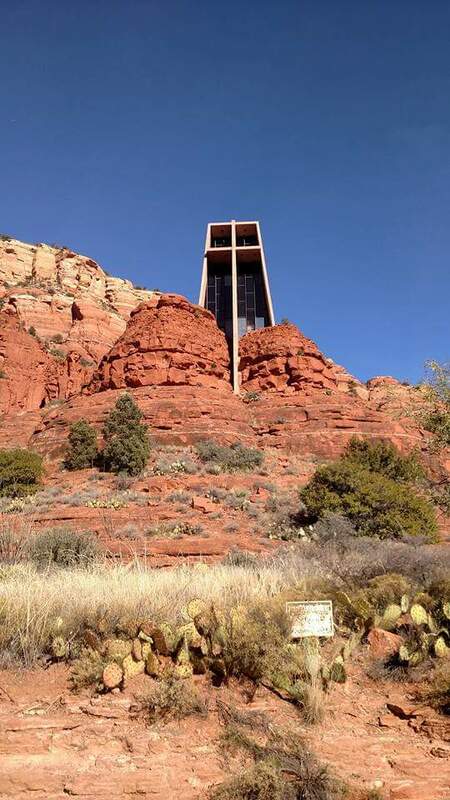 I hope turned to visit again one day. 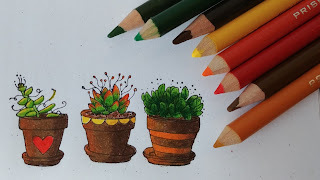 not tried bullet journaling...but I do love your coloured cacti! 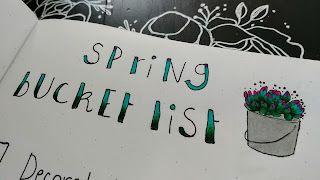 Great bullet journal pages! I love the tracking your walks layout, it's awesome!